Some new drive installations can have their bearings fail only a few months after start-up. Failure can be caused by high frequency currents, which flow through the motor bearings. While bearing currents have been around since the advent of electric motors, the incidence of damage they cause has increased during the last few years. This is because modern variable speed drives with their fast rising voltage pulses and high switching frequencies can cause current pulses through the bearings whose repeated discharging can gradually erode the bearing races. To avoid damage occurring, it is essential to provide proper earthing paths and allow stray currents to return to the inverter frame without passing through the bearings. The magnitude of the currents can be reduced by using symmetrical motor cables or inverter output filtering. Proper insulation of the motor bearing construction breaks the bearing current paths. Bearing currents come in several different guises. However, while modern motor design and manufacturing practices have nearly eliminated the low frequency bearing currents induced by the asymmetry of the motor, the rapid switching in modern AC drive systems may generate high frequency current pulses through the bearings. If the energy of these pulses is sufficiently high, metal transfers from the ball and the races to the lubricant. This is known as electrical discharge machining or EDM. The effect of a single pulse is insignificant, but a tiny EDM pit is an incontinuity that will collect more pulses and expand into a typical EDM crater. The switching frequency of modern AC drives is very high and the vast number of pulses causes the erosion to quickly accumulate. As a result, the bearing may need replacing after only a short time in service. 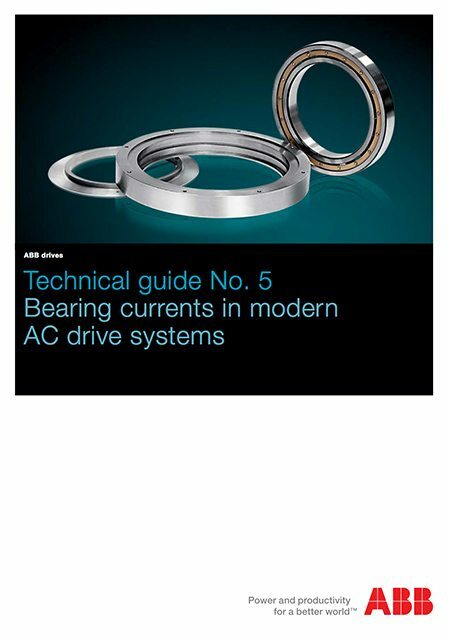 High frequency bearing currents have been investigated by ABB since 1987. The importance of system design has been highlighted in the last few years. Each individual item involved, such as the motor, the gearbox or the drive controller, is the product of sophisticated manufacturing techniques and normally carries a favourable Mean Time Between Failure (MTBF) rate. It is when these components are combined and the installed system is looked upon as a whole, that it becomes clear that certain installation practices are required. Current AC drive technology, incorporating Insulated Gate Bipolar Transistors (IGBT), creates switching events 20 times faster than those considered typical ten years ago. 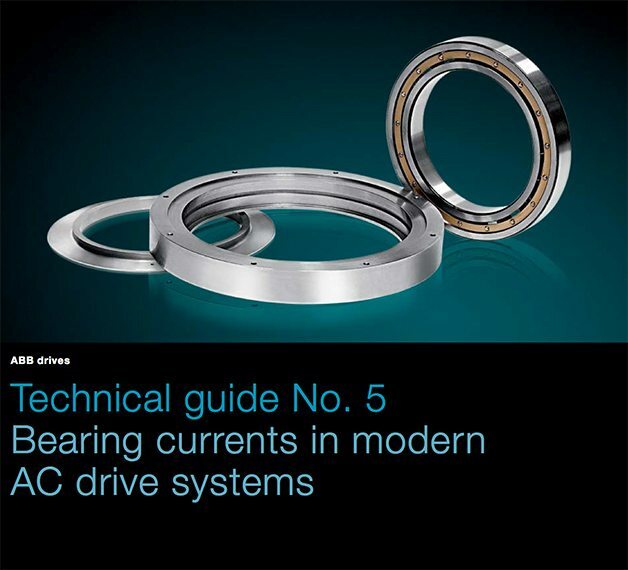 Recent years have seen a rising number of EDM-type bearing failures in AC drive systems relatively soon after start up, within one to six months. The extent to which this occurs depends on the AC drive system architecture and the installation techniques used.